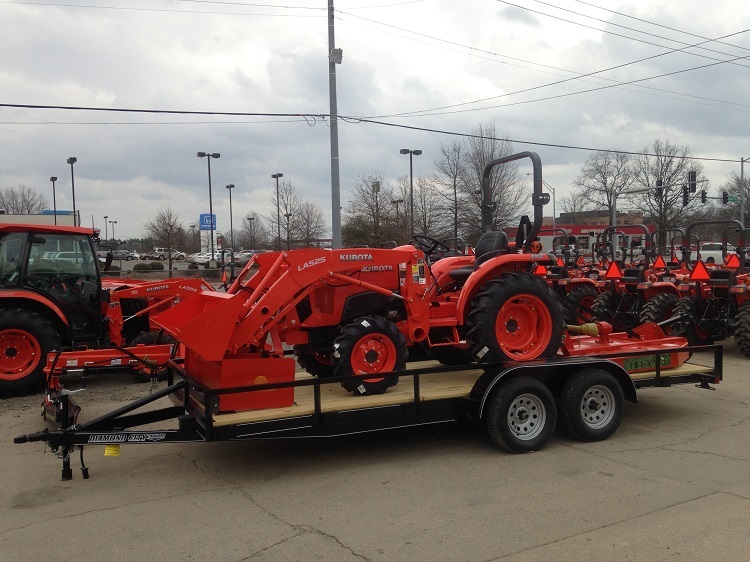 Our Package includes L2501DT w/AG tires, LA525FL loader, 5' Rotory cutter, 5' Box blade, and 18' powder coated pipe rail trailer with brakes and ramp. Finance price is $20350.00 AVAILABLE FINANCING "0" DOWN "0"% FOR 60 MONTHS. SEE DEALER FOR DETAILS. WEB PRICE IS FOR CASH! !